Giant teddy bears are the perfect gift if you want to leave a “big” impression! 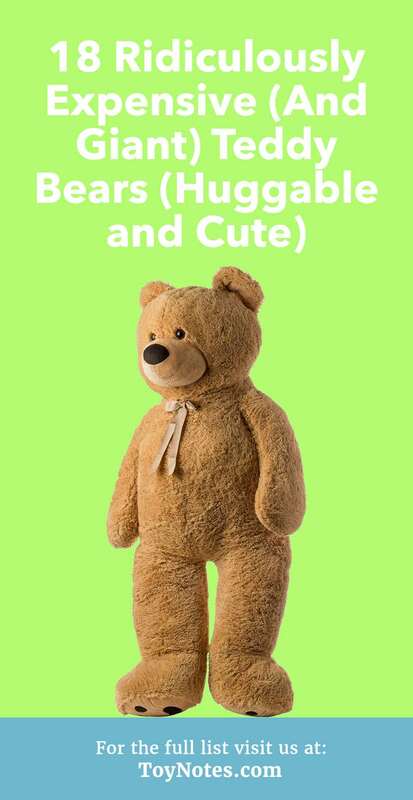 Due to their sheer size, charming facial expressions, and soft huggable comfort, they are guaranteed to delight the recipient. Perfect decor for a child’s room, they are a great place to lounge, cuddle, and nap. Want to make a giant bear? Put your sewing skills to the test with this tutorial on DIYing your own fluffy big guy. Doing it yourself means you can customize so many things like what type of stuffing and how much to use, plus you can create cute facial expressions your child will love. A giant teddy bear is the perfect gift for the kindergarten or preschool teacher in your life. They make adorable companions for the reading nook and a great place to lounge at nap-time. Check out this blog for patterns you can customize with very own design. Check out this blog for so many customizable bear options that you will have trouble choosing which one to make first. From super-hairy to super-plush, you can choose from a wide range of fabric options and styles. You don’t have to have a boring old brown bear when you make your own! These giant stuffed animals are covered in the softest plush and have amazingly detailed furs. Ideal for making any room the talk of the town or for giving your children something unique to cuddle up to on a cold night.